mediator provides consultancy services, dealing with legislation and regulations regarding chemicals affect on people and the environment. More. 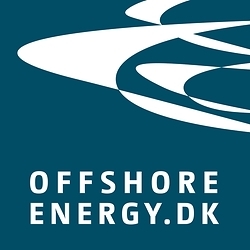 Offshoreenergy is a Innovation cluster that facilitates cooperative innovation. More. Aarhus Tech is an independent institution that provides vocational education and training, incl. : classes, for students and businesses . More. Arbejdsmiljøhuset provides businesses with independent and professional consultancy services, regarding work-environment improvements. More. The school of engineering is an independent unit within Aarhus University, which provides students with high-quality education within engineering. More. EMUC provides its members with services and gathers important knowledge, "know-how", inspiration and ideas for business development within the maritime sector. More. Negoti Connect functions as a professional business network with the overall purpose of educating and providing businesspeople with networking activities, and promote collaboration between its members. More. Orskov Yard is a privately held maritime company, which provide renovation- and repairs services to all ship- and vessel types within the maritime industry. More. EnergiMidt provides energy- and communication services and develops sustainable energy methods. More. Verdo Entreprise A/S supplies energy, communication, plumbing and electrical installations, focusing on sustainable methods. More. Aarhus Vand is a water supply company that operates heuristically, striving for strong, innovative and sustainable solutions. More. AffaldVarme Aarhus operates as an independent entity within Aarhus Municipality's collective environmental efforts. They develop Aarhus Municipality's district heating and optimize their garbage disposal systems. More. Viborg Municipality provides welfare services, incl. education, nursing and counselling, to citizens and businesses. More. Aarhus Municipality provides welfare services, incl. education, nursing and counselling, to citizens and businesses. More. Dan Jord A/S is a general construction and garden contractor. They provide services within earth- and drainage operations, landscaping and paving, construction of sports facilities and they renovate and extends district heating systems. Læs mere. Bascon provides independent strategic advisory services within construction, engineering, architecture and within city planning and landscaping. More. Kemp & Lauritzen provides services within plumbing, ventilation and electrical installations. Their clients are professional end-users within energy consumption, industry, businesses and infrastructure. More. DGE functions as a consultancy company and provides advisory services within environmental issues, construction and installations. More. Masanti provides advisory services within construction and installations. They advice private and public contractors. More. Birch & Svenning A/S is an architectural practice that provides all service aspects within its field. I.e. advisory services with construction, new building projects, renovations and interior- and industrial design. More. Uggerly Installation provides electrical installations and plumbing services. More. Svendlund & Arp A/S is a painting business providing complete services within their field, incl. indoor and outdoor maintenance, to companies, institutions and private clients. More. Langberg A/S is an experienced cable contractor. More. Wolters Consulting provides independent advisory services within energy optimisation. More. Vietz El-installation A/S offers electrical installation services, incl. electrical goods. More. 24-7 Øst provides advisory services dealing with structural damages caused by moisture and fungi. They provide efficient solutions within indoor climate improvements, for businesses and private clients. More. Pilegaard-Henriksen A/S provides installation- and advisory services within water, heating, plumbing, ventilation and sanitation. More. Skibbild Entreprise A/S is a contractor who provides complete building prospects and construction. More. VB Enterprise provides electrical installations and maintenance to the wind power industry. More. Harry Andersen & Søn A/S is an engineering and contractor company, who provides services within road construction, parking provisions, drainage renovation, building planning and soft ground work. More. Frederiksbjerg EL provides all service aspects within electrical installations and repairs for businesses More. Jysk Stilladsmontage builds all scaffolding types and offers advisory services for building site safety. More. Horsens Totalbyg is an independent constractor providing carpenter and construction services. They also provide advisory services and foremen for building sites. More. Tegnestuen Mejeriet is an architectural practice that provides services for businesses, public and private clients. More. Hahns Services provides advisory services within playground safety, as well as windows washing, solar cell cleaning, facade cleaning and commercial cleaning services. More. HusCheck provides professional advisory service within construction for private and business clients. More. ISS offers facility services, incl. cleaning, safety and catering etc. More. IAT offers flexible shipping and logistics solutions, on a local, national and international level. More. Compass Group provides catering, cleaning and other corporate services for workplaces, schools, hospitals etc. More. Orkla Foods develop, produce and market branded consumer goods. More. Thisted Forsikring provides insurance policies for private clients, agricultural businesses and SME's. More. Odense Marcipan is the world leading manufacturer of marcipan and marcipan related products. More. Pro Industri & Skadeservice A/S provides damage assessments and solutions for fire, water, moisture and property damages. More.